For many people with lower back pain, taking medications such as pain relievers and muscle relaxants provide sufficient relief of their symptoms. If these medications are not effective, an orthopedic doctor in Miami might recommend injections, such as steroids. 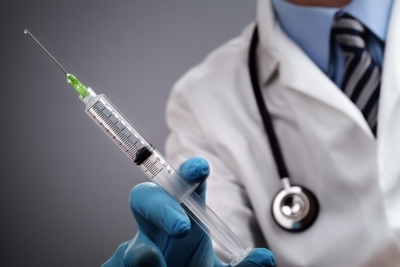 With injections, the medication can be administered directly to the site of the injury. Epidural steroid injections are indicated for the relief of pain in the cervical, thoracic, and lumbar spine. An orthopedic surgeon might recommend steroid injections for patients who suffer from pain caused by disc herniation and radiculopathy, along with patients diagnosed with spinal stenosis, spondylosis, post-laminectomy syndrome, post-herpetic or post-traumatic neuralgia, and arthritic conditions. Before having steroid injections to treat back pain, patients should discuss their medical history with the spine surgeon. Steroid injections are contraindicated for patients who have an infection of the joint in which the medication would be delivered and those who have a soft tissue infection over the affected joint. Additionally, patients who have previously suffered an allergic reaction to corticosteroids should not receive steroid injections. An epidural injection into the spine requires a little more preparation than a typical injection into an arm. Back pain specialists apply a local anesthetic to the skin directly over the affected joint. This numbs the skin to eliminate any discomfort from the injection. Sometimes, the physician may use X-ray imaging and contrast dye. This allows him or her to ensure accurate placement of the needle. Along with injecting the corticosteroid into the site of the injury, the orthopedic surgeon may inject a local anesthetic combined with the steroids. This provides patients with immediate relief of their back pain. Patients can typically get up and walk around right after the injection. They may be asked to stay at the office briefly for monitoring. Someone else should drive the patient home. Most individuals resume their usual activities the following day. Steroid injections work by reducing inflammation, swelling, stiffness, and pain. It generally takes 24 to 48 hours for the medication to relieve symptoms, which is why a local anesthetic may also be injected for immediate pain relief. The effects are not permanent. Some patients enjoy relief of pain for only a few days, while for others, the injection works for a few months.